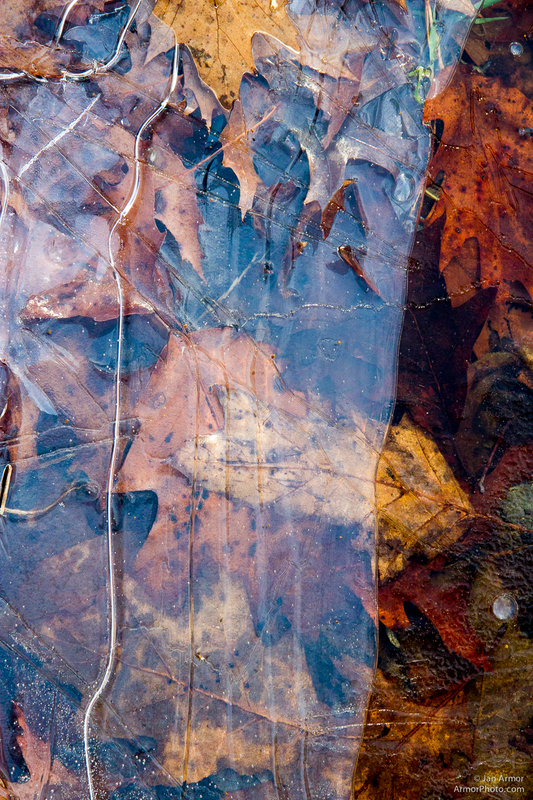 Leaves encased in the first ice. Yesterday Joe and I did a little photography up at "Stepping Stones", up near Foster, RI. A secret little place just off a country road with a pair of waterfalls. The wonderful smell of autumn filled the air. A few patches of ice had encased some leaves. It was great to be alive.